Undefeated Premiers, 3rd Division, Q. S. F. A. Winners John Fern Cup, 1949. In 1949 the famous Yugoslav club side Hadjuk Split toured Australia for a series of four matches against the Australian national side and two games against an Australian XI. The Hadjuk Split touring squad included such greats as goalkeeper Vladimir Beara, winger Bernard Vukas and other players including Andrjasevic, Matosic, Katnic, Kokeza and Mrcic. 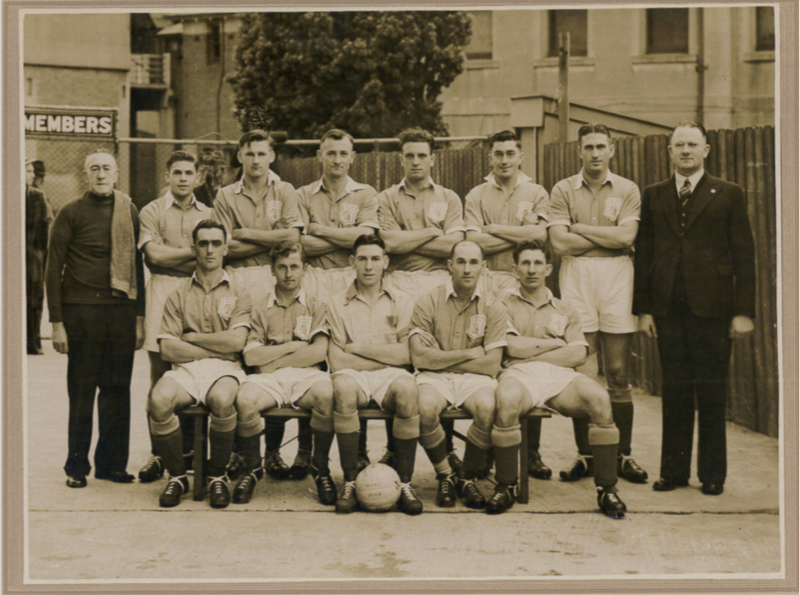 In 1941 a Chinese team toured Australia and played a series of five matches against the Australian national side. 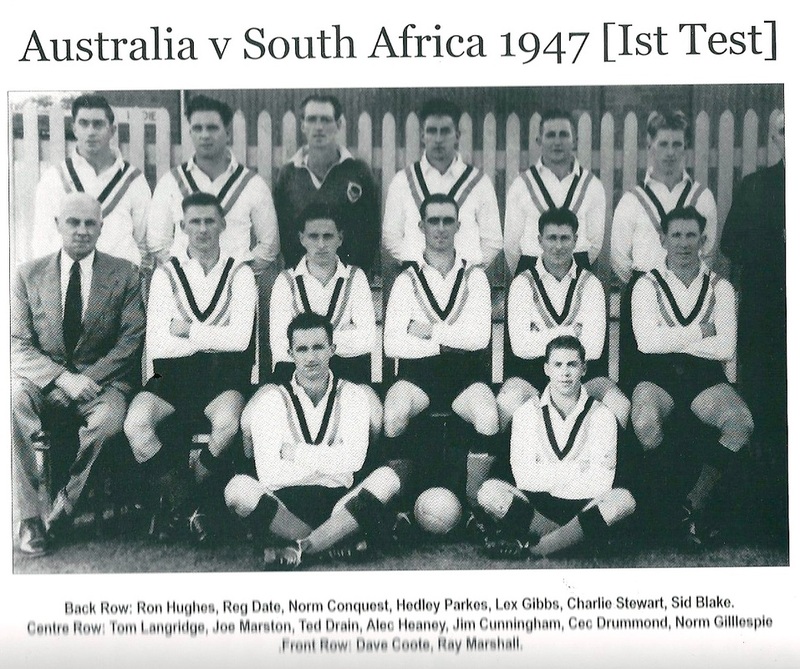 During the 1947 tour of Australia the South Africans played two matches against an Australian XI as "warm-up" matches. Australia lost 1-2 against South Africa in the first game at the Sydney Cricket Ground. Newcastle native Reg Date is widely regarded as one of Australia’s great goal scorers. He started his career with Plattsburgh Primary School in northern NSW in 1930. His junior career included 305 goals with the Plattsburgh club Under-16 and Under-18 teams. Between 1937 and 1953, Date scored 664 goals in competition games, including nine goals in one game, seven goals in two games and six goals in three games. In his junior and senior career, Date kicked a total of 1,616 goals. He represented Australia six times when international matches were few and far between. Most of his playing career was spent with Wallsend (from 1937 to 1953), with exception of a three-year stint playing with Canterbury. His most productive years were 1947, when he scored 72 goals in the season for Canterbury, and 1937 when he scored 204 goals for Plattsburgh Under-18s.